Leading up to The Killers’ fifth studio album, Wonderful Wonderful, a common talking point was that one of the last huge rock bands still didn’t have a No. 1 album in the U.S. Although their recent strutter of a lead single “The Man” has been performing well on rock and alternative charts, it’d be crazy to argue that The Killers are at peak popularity in 2017. That’s where a big chart loophole comes to the rescue. 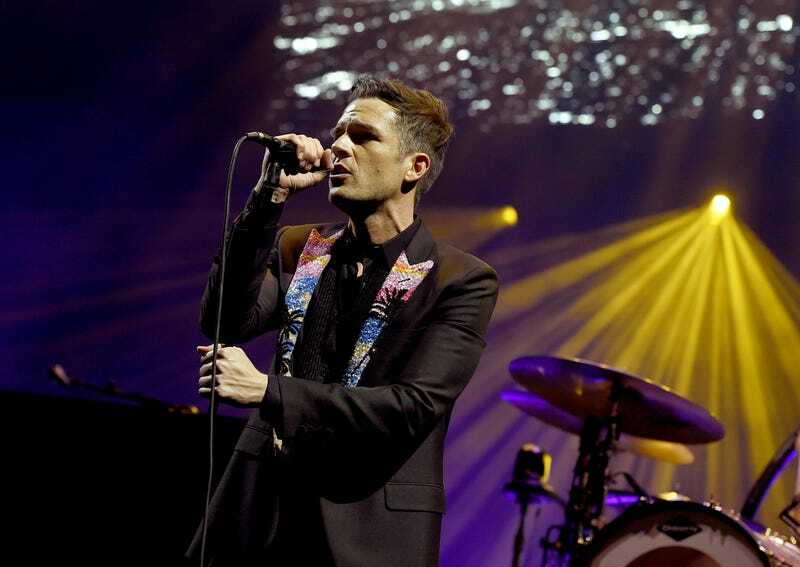 Over the weekend, Billboard reported that The Killers earned their first chart-topper with Wonderful Wonderful. Good for them, right. But when you examine those numbers a bit further, it’s a sham. The band’s latest release earned 111,000 of its 118,000 equivalent album units from traditional album sales, which is something that just doesn’t happen anymore. They benefited from the same ticket bundling tactic that recently led Arcade Fire, LCD Soundsystem, The Chainsmokers, and Katy Perry to No. 1 albums. These promotions include a pre-order of an artist’s new album with the purchase of a concert ticket, and the sales process on release week—often leading to a steep decline for their second week on the charts. As Billboard points out, this scheme has been around for years, employed by artists like Michael Bublé, Shawn Mendes, Josh Groban, Tom Petty, and many more. But in a time when album sales are lower than ever before, and the chart still stacks the deck in favor of traditional album sales, this is the easiest way for an artist on a major to top the Billboard 200. The Killers, Arcade Fire, or LCD Soundsystem likely don’t care if they’re among the least-streamed No. 1 albums of the year or if their No. 1 is theoretically less legit than it might have been in 2007. By allowing ticket bundling to continue, it preserves the dwindling sanctity of scoring a chart-topper and continues the illusion that people still buy music. So it’s not in Billboard’s—or a major label rock band’s—best interests to see that this loophole is closed anytime soon.